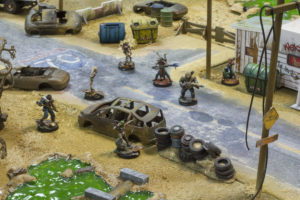 Punkapocalyptic is an easy game to learn, in which the best way of getting better is just playing. Even though, we will present you with a series of gaming articles which you might find useful in your games, whether it be as a beginner or once addicted to its awesomeness. In this section we will try to solve any doubt you have regarding the rules, or to shed some light over the dark corners left among the rulebook: with all these special scenarios, bands in constant evolution, new rules and so on, it is very common that some concept might conflict with another or create some kind of “legal blindspot” or misunderstanding. Well then, this is the place to come and try to answer the questions, ganger. WTF? 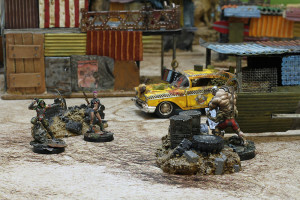 There is nothing cooler than playing with nicely painted miniatures on a hell of an awesome Punkapocalyptic table. 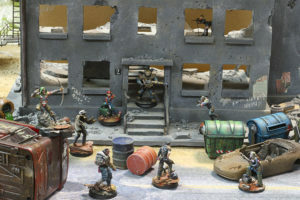 In these articles we will show you how to make some easy scenery, painting tutorials, conversions… and anything related to the most visual part of the hobby.